Friendly, arty, welcoming, beautiful, atmospheric. The epithets applied to Dublin are familiar. (And while we're on the subject of Dublinish words, lets get the word craic out of the way. It can be good there, as you know). Dublin has a reputation for welcoming folk in, so there's no shortage of choice when it comes to the best places to stay in Dublin. There are plenty of great options across the price brackets, from chic hotels to city centre apartments - which you'll find via our online partner, booking.com. Despite being a capital city, Dublin feels compact and more village-y than most European capitals. It's got some beautiful architecture - from its medieval castle and cathedrals to the Georgian splendour of some of its houses - but it's also got some corkers, and it's the miss-matched effect which really gives Dublin its great character. Dublin also has a wonderful mix of strong local traditions and cosmopolitan forward thinking. There are a thousand pubs to choose from, but there are also restaurants serving food from all over the world. If you're looking for pub suggestions try Kehoes in South Anne Street, which is authentic and quirky, and has a country pub type atmosphere, or the The Long Hall on South St George's Street. If you're here on business then it's probably best to stay near Dublin's International Finance Services Centre, in the east of the city near the docklands. 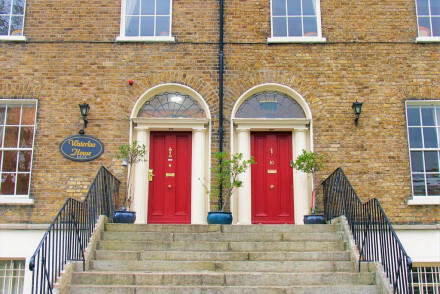 Budget travellers should consider staying in the Phibsborough area, a short distance from the centre located to the north of the city. Culture vultures should probably stay in the Rathmines district, with most of the city's museums just a short distance away. Known for being a great place to have a good time, Dublin's live music scene plays a big part. 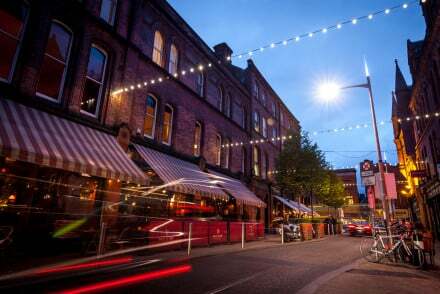 It's easy to find out what's on, but if you're not sure what kind of thing you'll enjoy maybe try The Cobblestone at Smithfield, or O'Donohhoe's on Merrion Row. If you're after traditional Irish music try the Brian Brou on Prospect Road or The Bleeding Horse on Upper Camden Street. As well as the pubs, the people and the music, Dublin's appeals include its museums and galleries. The Irish Museum of Modern Art houses a good collection of modern and contemporary art and has frequent visiting exhibitions. The Hugh Lane Gallery has a collection of contemporary art and includes a reconstruction of the studio of Francis Bacon, relocated lock, stock and barrel from London. Or try a lesser-known permanent exhibition in the Chester Beatty Library at Dublin Castle: Sacred Exhibitions, a display of sacred texts and icons from many world religions. The Book of Kells in the Old Library of Trinity College is a highlight for many. Ancient, and staggeringly intricate, this book of gospels was created by monks around 800AD. Another great attraction for lovers of history is Kilmainham Jail, one of the biggest unoccupied jails in Europe. Inside is an interesting and affecting exhibition charting Ireland's journey towards independence. For a completely authentic sporting experience, the best places to stay in Dublin will point you in the direction of a hurling match at Croke Park which is excellent. Like a cross between the most hotly contested rugby match you can imagine and polo (without horses), it is fast and furious. History-lovers and mere tourists alike should make time to visit Dublin Castle, dating all the way back to the year 1204. Nowadays it serves as a government building however there are still 2 museums, a smartly tended garden, a café and a guided tour for visitors to enjoy. Head over to the Guinness Storehouse and hear the official story behind one of the world's most iconic beers. Enjoy an interactive self-serving tour with a complimentary pint and/or tasting sessions too! Bring a picnic and set off meandering around Phoenix Park. Known as Dublin's playground, many events take place here each year and there are even deer freely roaming the forest areas. A number of sights can also be found within the park such as The Wellington Testimonial and an ancient tumulus from over 5,000 years ago! Don't forget that this city is buzzing all year round! So if you want to guarantee a room in one of the best places to stay in Dublin, do your homework and book well ahead. The Clarence is owned by Bono and The Edge. So it's pretty hip, but not so that it might irritate - all the rooms and light, airy and non-gimicky. It's also right on the banks of the Liffey, perfectly positioned for seeing the sights and enjoying yourself in the evening. The Dean is a fantastic city break option - it features chic, boutiqe interiors that belie the building's Georgian history and there are also three stylish bars on site. Plus, it's just a stone's throw away from the city's best bars and clubs. 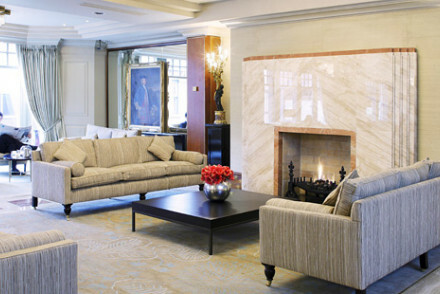 If you're looking for big and luxurious, The Westbury Hotel is a splendid choice. Situated in one of the most desirable locations in town, the property embodies a classical Art-Deco style hotel with fresh interior designs. 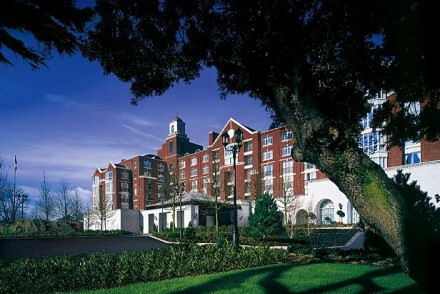 The Intercontinental Dublin runs along similarly elegant and luxurious lines, but is set in the green and leafy Ballsbrige (outside the centre of town) surrounded by lovely gardens. The accommodation oozes class, and details such as the huge flower arrangements in communal areas add to this image. Timelessly classy despite only being ten years old, The Merrion Hotel is the epitome of elegance and grace. The interiors hark back to Edwardian high-society yet there are still all the necessary mod-cons of a modern hotel. If you're willing to push the boat out, a stay here will not disappoint. Perhaps a little more down-to-earth than some of the other options, the Brooks Hotel is a superb option for a Dublin break. 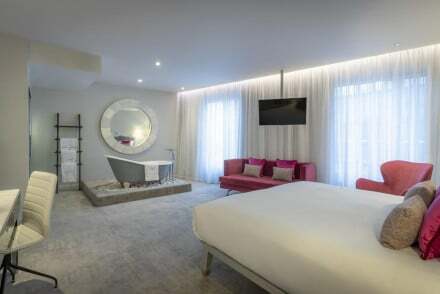 Its central location means there's no excuse not to see all that the city has to offer, plus it has a stylish cocktail bar, a cinema and Francesca's restaurant, which serves up splendid grub. 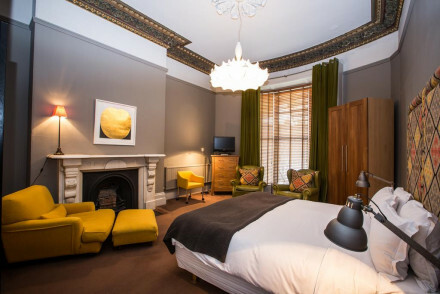 The Cliff Townhouse has everything that you'd want for a grown-up city break - it's centrally located and features smart, boutique interiors with an array of colourful furnishings. Their excellent restaurant specialises in seafood dishes and you can relax with some champagne in the oyster bar! A terrific stay. Ariel House is a converted Victorian townhouse on Lansdowne Road - which is super central for all Dublin's main sights and great for the rugby. 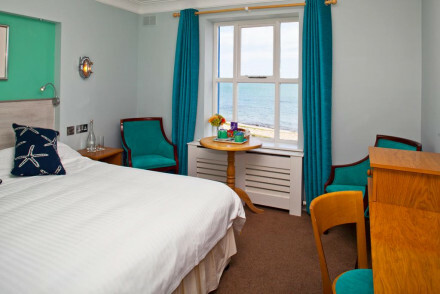 With classy rooms starting from just £66 per night, it's a splendid option for a budget break. 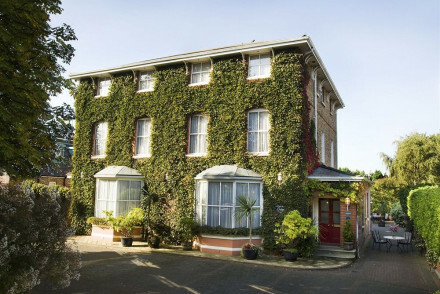 Aberdeen Lodge is a lovely Victorian mansion turned B&B on a desirable residential street in Ballsbridge - just 8 minutes from the centre by DART train. This property features smart accommodation, and amongst the 20 rooms are a couple of family sized suites. Enjoy their award winning breakfasts each morning to set you up for the day. The Schoolhouse Hotel, a Victorian school convert, is located right next to the grand canal as well as the Aviva stadium. The red and yellow hues in the rooms add a homely atmosphere, whilst the dining room with it exposed original wood beams is a sight to behold. At this spot you're also only ten minutes away from Dublin's main sights! 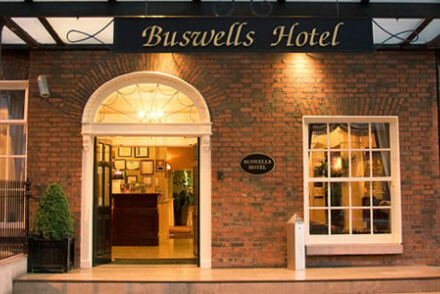 Five townhouses have been converted to create Buswells Hotel, a great value hotel in the centre of Dublin. Located close to both daytime and nighttime highlights, the property's decor is cosy but comfy and they also offer free overnight parking. Dylan is arguably Dublin's funkiest hotel - and possibly most colourful. Red and lime greens seem to be the favourites, and there are bold patterns and big furniture. Bedrooms are calmer than the public rooms, and the welcome is very warm for such a hip property. 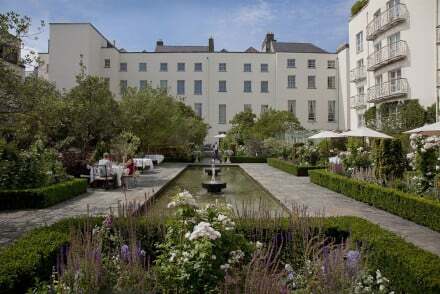 The Merrion Hotel has been converted, to elegant effect, from four Georgian townhouses, creating the effect of a gracious grande dame hotel in just ten years of service. The garden is lovely, there's a small spa and the restaurant has a Michelin star. 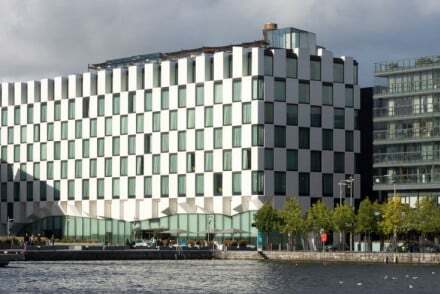 The Marker Hotel is right in Dublin's Docklands, a big, shiny, stylish, contemporary building, which looks like a checker board box. 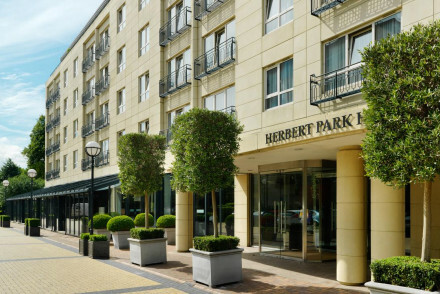 The location is particularly good for the Dublin Convention Centre, but you're also only 20minutes walk from the centre of town, so this is more than a business hotel. For a wide range of city centre apartments check out our online partner, booking.com. Travellers can fly into Dublin Airport, located just 5 miles north of the city centre. Alternatively, you can always take the ferry from either Liverpool or Holyhead to Dublin. Dublin is a popular destination year round, but if you want warmer weather it's best to visit over the summer. July is both the warmest and the driest month of the year, with the average high temperature 19°C and the average low temperature 12°C. For car hire prices, we recommend you visit our online partnerRentalcars. Still not sure which is the best place to stay in Dublin for you? Browse through our list of all the best places to stay in Dublin. Extend your search to all our Ireland recommendations. Converted Victorian townhouse on the Lansdowne Road just steps from the Aviva stadium. Rooms are traditional in style - book a suite for a four poster experience. Incredible value for this excellent Dublin location, close to all major sights and nightlife. Perfect for a budget break or rugby fans. Traditional - Original Victorian period features have been retained where possible. 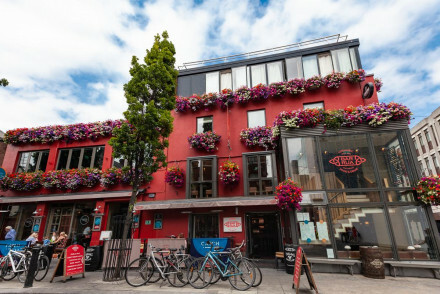 This quirky boutique hotel is located in the heart of Dublin's city centre. Individually styled rooms boast hand-selected design pieces and comfy beds; the best retain the building's Victorian-era charm with exposed wooden beams. Take the novel hotel bridge over to No Name Bar. A lively city stay. Smart self-catering apartment suites in the heart of Dublin city centre with a quality seafood restaurant and bar below. Expect hip modern fittings, stylish Smeg fridges and luxurious faux-fur bedspreads. Some rooms have huge windows with great city views. A really great city launch-pad. 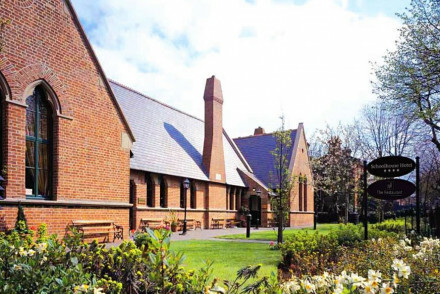 Converted Victorian school located next to the grand canal in Ballsbridge. Especially handy for the centre of town and the new Aviva stadium for rugby enthusiasts. Thirty one traditionally decorated rooms feature king sized beds, free wifi and free movies as standard. Excellent value. 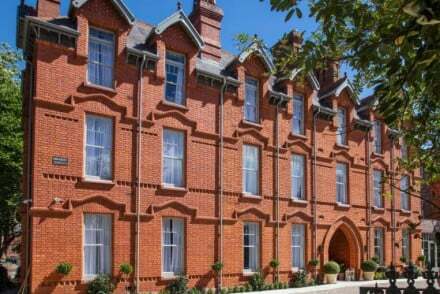 Five townhouses have been converted to create this great value hotel in the centre of Dublin. Ideally situated to enjoy culture, shopping and nightlife. The feel is cosy and rooms are kitted out in traditional fashion whilst offering the usual modern amenities. Ideal for a short city break. 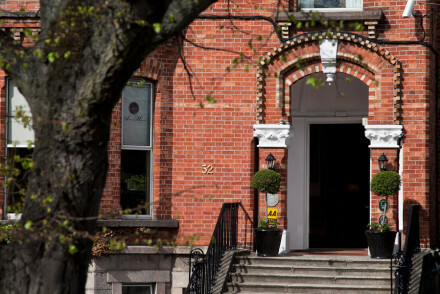 An undeniably slick hotel situated in the heart of Ranelagh. Rooms may be small in size but everything has been thought of; from Marshall amps, TVs loaded with Netflix, Smeg fridges and cunning use of space. Out of the room, there's a cinema and rooftop terrace and bar to take advantage of. Superb! This chic house is set in Dublin's fashionable Ranelagh Village. The bright rooms have period details and king-size beds with luxurious linens. Each of the stylish rooms is named after a famous local legend to reflect the building's rich history. A pretty, three-star townhouse that won't disappoint. 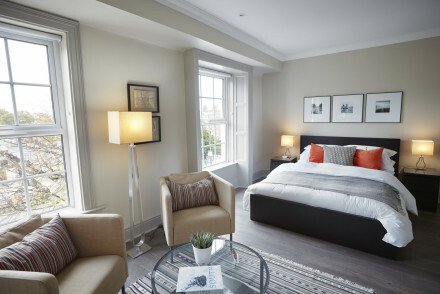 A new boutique hotel situated in the town of Blackrock, South Dublin. The ambitious renovation of this family home has resulted in spacious, modern rooms with lots of light and classic interior design. Enjoy a homemade pie at Gleeson's Corner, or have a pint at the cosy pub. A home away from home. A luxury four-star hotel in south Dublin. Plush rooms offer soft carpets and sink-in linens, with stunning views over the expansive Herbert Park. The family rooms are great for travelling with children; dine at the gourmet restaurant or take afternoon tea in the terrace lounge. A stylish city break. 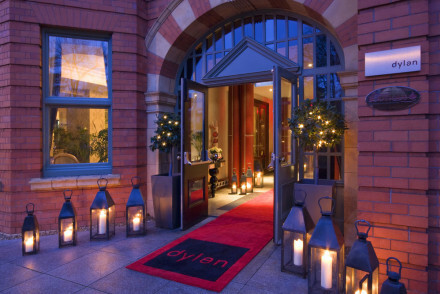 Stylish, vibrant hotel in Dublin's city centre. Offering a selection of chic rooms and three bars, the Dean aims to reinvigorate it's Georgian setting with a modern twist. A stone's throw from a host of clubs and bars, it's the perfect launching pad for a lively weekend in Dublin. Historic - Harcourt Street is an example of some of Dublin's finest terraced Georgian architecture. Museums - Ten minutes walk from Trinity College Dublin and The Book of Kells. Sights nearby - Fifteen minutes walk from the world famous Guinness Storehouse. Close to nightlife - Prime location for accessing Dublin's finest clubs and bars. Famously owned by Bono and The Edge of U2, The Clarence has been transformed into one of Dublin's hippest hotels. Situated on the banks of the Liffey it is perfectly placed for making the most of Dublin's many sights and legendary nightlife. A stylish, good value spot for a city break. 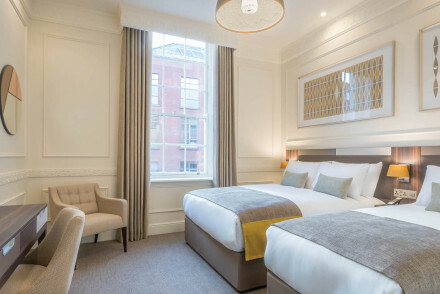 Neatly located in the heart of Temple Bar, Dublin's quirky cobble stoned neighbourhood, The Morgan Hotel is an elegant spot with stylish rooms, complete with Nespresso machines. 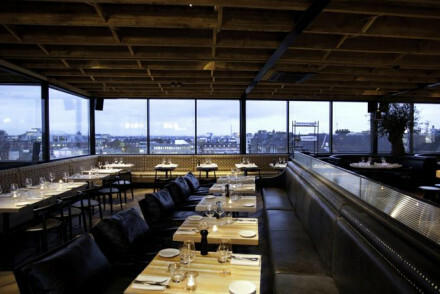 Dine at 10 Fleet Street Restaurant and Bar, a chic restaurant with a menu of Irish favourites. Superb! An imposing townhouse located on a quiet street in central Dublin. Traditional rooms are light and airy with sash windows, antique furniture and warm hues. A manicured garden and cosy lounge are the perfect spots to unwind after a day exploring the city. Ideal for city breaks. Local exploring - Well positioned to explore Dublin, yet on a quiet street away from the bustle. Great walks - Take a walk along Sandymount Strand, the most famous beach in Irish fiction. 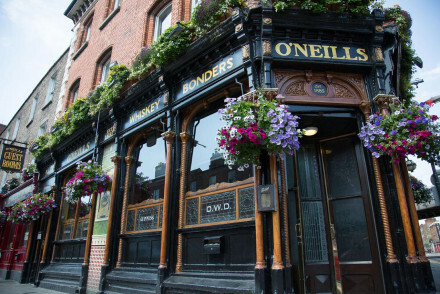 A traditional inn at the heart of Dublin's bustling city centre. Traditional décor nods to the building's Victorian-era heritage, with original fireplaces and antique furnishings. Book in for a whiskey tasting at the pub's own whisky bar or sample a local beer. A charming, family-run guesthouse. This chic hotel is located in a four-storey listed Georgian townhouse in Dublin's leafy Ballsbridge area. 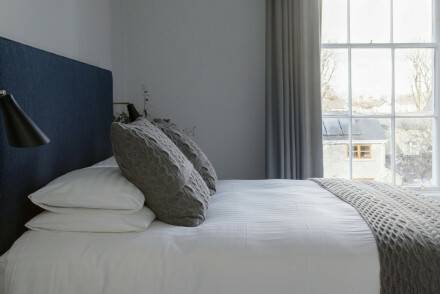 The ensuite rooms are decorated in a period style in keeping with the building's legacy; expect king-size and super king-size beds dressed in high-quality cotton linens. A stately city stay. Part guesthouse, part boutique hotel with superb breakfasts and a laid back vibe. Large, gloriously decorated rooms that supersede guesthouse status. A lovely garden and superb sitting room that connects the mews side of the house with the Georgian side. A truly luxury B&B. City Style - Wonderfully located in picturesque Georgian Dublin, with bold interiors, contemporary art and charming central garden. Great walks - A ten minute walk brings you to St Stephens Green, where you can stretch your legs and feed the ducks. Gracious living in a grand mansion in a more secluded setting on a residential street in Ballsbridge. Elegant bedrooms with brass or four poster beds, floor to ceiling windows, and big armchairs. Lovely gardens can be enjoyed from the terrace over an award-winning breakfast. Local exploring - Explore the coast line of Dublin's south side, with a quaint village-like charm and wonderful seafood. Local markets - Explore the affluent coastal suburb of Sandymount, with charming fish shops, delis and restuarants. Great walks - A five minute walk brings you to Sandymount Beach, a popular walking spot for locals. Sights nearby - The James Joyce Tower and Museum is a Martello tower only six minutes away. Striking contemporary hotel in the heart of Dublin's docklands. 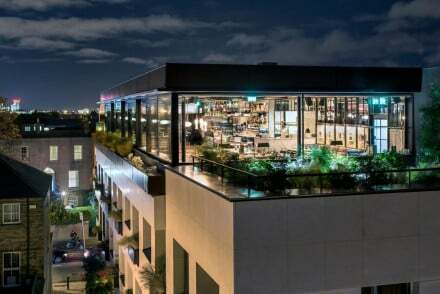 Super stylish, design conscious interiors, rooftop bar for taking in the cityscape and great food in the brasserie. Ideal for business travellers, but also perfect for a hip city break. 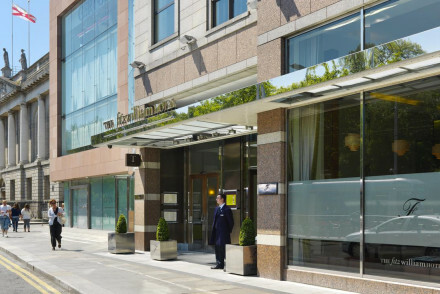 On Dublin's trendy Drury Street, Brooks Hotel is an excellent, family-run hotel. Its style is modern with smart, comfortable rooms and an inviting, low-key bar. Central Dublin is on the doorstep, so return after a day's exploring for a delicious meal at in-house Francesca's. A stylish city hotel. Sights nearby - Five minutes walk from Dublin Castle and the Chester Beatty Library. 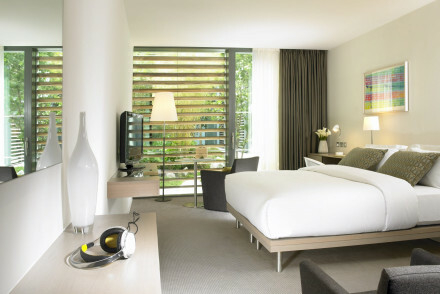 This sleek, modern hotel is located a stone's throw from Dublin's city centre. The bright rooms are decorated in soothing colours with comfy Respa beds; upgrade to an executive room for a balcony with views over the city. Eat in the famous First Dates Ireland restaurant. A stylish four-star hotel. Classy yet metropolitan hotel at the heart of vibrant Dublin. Centrally located town house hotel. Pastel shaded rooms feature park views, modern bathrooms and antique style furniture. Chic dining in the restaurant with a focus on fresh seafood, or enjoy champagne in the oyster bar. Popular and good value. Assured luxury standards and a good range of rooms and rates. Stunning grounds, popular bar, elegant bedrooms in neutral tones, and an excellent spa. A city escape in true luxury. 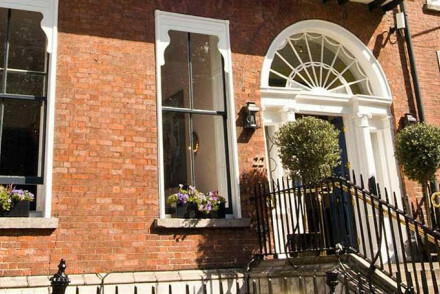 This stylish, Victorian-era townhouse is located in the heart of Dublin. 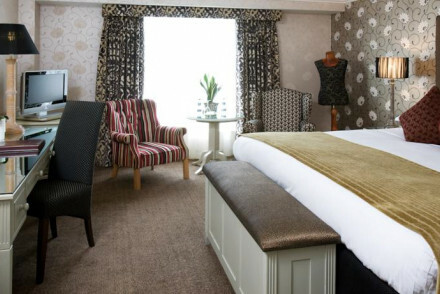 Individually designed rooms boast original fireplaces and rich soft furnishings in regal colours. Enjoy a cocktail with bespoke craft gin in the Gin and Tea Rooms and eat at the award-winning Rolys bistro. A smart city break. An award-winning seafood restaurant and hotel located in Howth. Guests can enjoy breathtaking views of Balscadden Bay whilst enjoying crab and oyster caught by local fishermen. All rooms are decorated in the turquoise and blues of the sea and have a bright fresh feel. A boutique city hotel in a lovingly restored Georgian townhouse. The comfortable rooms are dressed in pastel linens and boast Smart TVs and a Nespresso machine. Choose from a range of menus to suit your mood at the hotel restaurant before having a drink at the stylish bar. A smart city getaway. 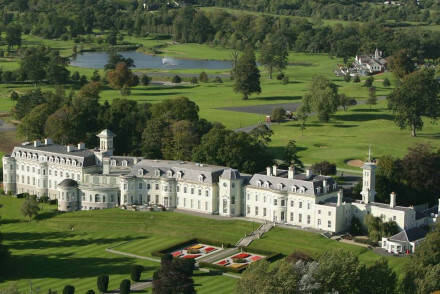 The luxurious K Club hotel is set amongst 550 acres of parkland in County Kildare. Elegant accommodation features King sized beds, antique furnishings and luxurious bathrooms. A number of outdoor pursuits are on offer from falconry to clay-pigeon shooting. A smart country escape. Golf - Both designed by Arnold Palmer, The Ryder Cup Course and The Smurfit Course are considered among Europe's finest! Dublin’s funkiest hotel. Bold colours of scarlet red and lime green are exaggerated by contemporary Baroque flourishes - extravagant patterns and oversized furniture. Sleek, more neutral bedrooms with all the high-techery and sophisticated meeting rooms - a lavish spot for business or pleasure. Sights nearby - Head to James's Gate and take a tour of the Guinness Brewery, fascinating and includes a pint in the panoramic Skybar. Great walks - Wander through leafy Georgian Dublin to St. Stephens Green, a charming central park complete with swan filled pond. 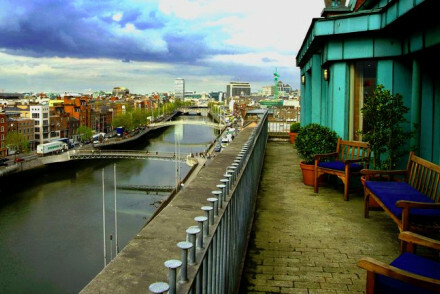 This five-star luxury hotel is nestled in the heart of Dublin's city centre. The best of the spacious rooms are decorated in bold colours and boast plush four-poster beds. Enjoy excellent views over the city sights from the suite's balcony. Drink at the Inn on the Green for an authentic Irish break. Effortlessly gracious grande dame that just happens to be only ten years old. Timelessly classic decoration that oozes understated elegance and grace - marble floors, colonnades, fireplaces, artworks, bedrooms in neutral tones. Beautiful garden, Michelin restaurant, and small spa. 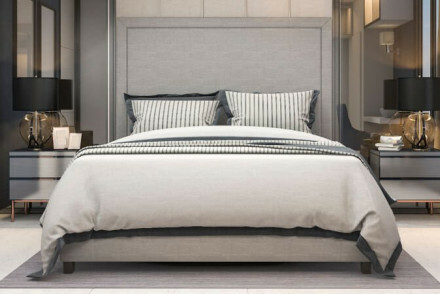 City Style - This Georgian masterpiece is the epitome of subtle style and effortless elegance. Sights nearby - Nearby Number One Merrion Square is the former home of one of Dublin's most famous sons, the writer and dramatist Oscar Wilde. Great walks - After a hearty meal take a stroll around the charming garden, or head down the road to the picturesque Merrion Square Park. Views - Faces the stunning Irish Government Buildings.